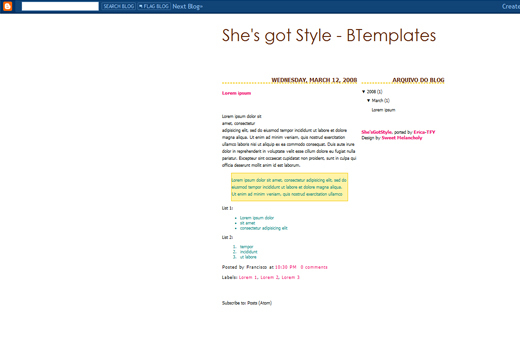 She’s Got Style blogger template for free download on Blogger Templates. Are you serious? Damn, yes you are, this should be tweeted. with your permission, I will make that happen.